On the back cover of the book ‘The Millionaire Real Estate Investor’ is a proud quote by Mike Summey, the co-author of the bestselling real estate investment book titled ‘The Weekend Millionaire’s Secrets to Investing in Real Estate’ and it reads: “This book is not just a bargain, it’s a steal. It’s filled with practical, workable advice for anyone wanting to build wealth.” I couldn’t agree more. 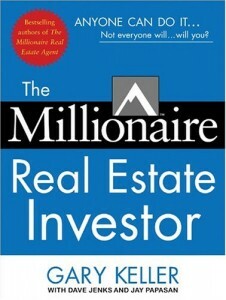 The Millionaire Real Estate Investor is a book written by a self-made millionaire with over 25 years of experience in making money in the current real estate market and is the founder and owner of Keller Williams Realty International, the 5th largest and among the fastest growing real estate franchise in North America. 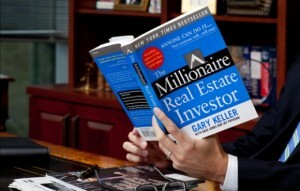 Besides this book, Gary has also written another bestselling book ‘The Millionaire Real Estate Agent’. This book is perfect for those seeking financial wealth but have a genuine interest in learning the fundamental truths about the real estate niche and the models that make it what it is. ‘The Millionaire Real Estate Investor’ can be described as a collection of the wisdom and experience from investors in almost every walk of life, dating back to over 25 years, and their stories and lives while they chased their dreams of financial success. 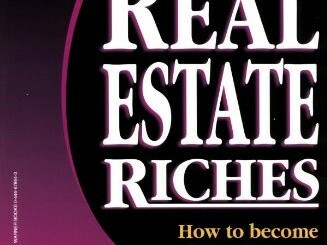 This is a life-changing book that focuses on how you can build wealth in the easiest and fastest legal ways possible. Know the myths about investing and money that often hold other investors back and how to adopt a millionaire investor mindset to be one. How to come up with a winning ‘dream team’ to help you build your real estate empire because you cannot do it alone. Zeroing in on the key values of properties and their owners and how to use these factors to tilt the transaction in your favor and get the best possible real estate deals. Know to quickly and mentally assess an investment opportunity and use the proven strategies and methods to make a killing off them. Learn to come up with your own investment strategy, build your network, track your net worth, understand your finances and generate leads and convert them into assets. Although some reviewers say that this book is too focused on the reward aspect of investment, most agree that it is one of the most famous real estate books of our times. I must agree that Gary offered less actionable advice in this book, especially as he did in ‘The Millionaire Real Estate Agent’ but I like it because he focuses on the motivation and theory elements that are the driving force behind the real estate boom.